Coffee. Should I or Shouldn’t I? For some here in Australia it’s like a religion. Hell hath no fury like the person who receives a bad coffee. There are some serious barista courses here and too many unhappy customers means your first and last day on the job could be one in the same. So why am I here talking about coffee? 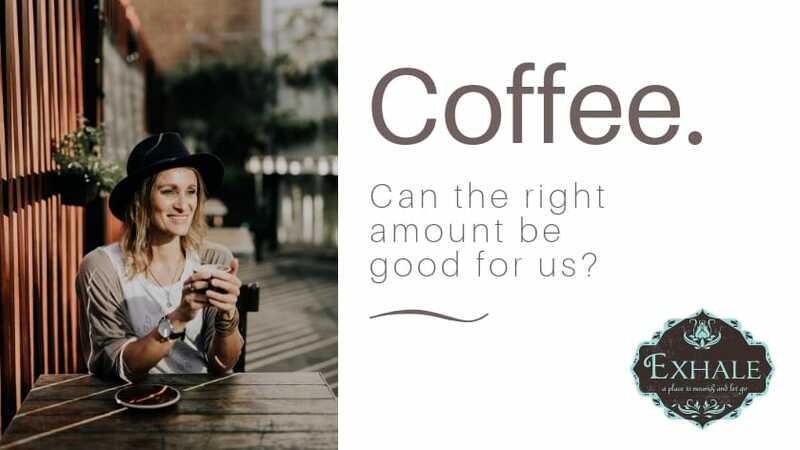 Well, with every new client we ask how much coffee, tea or soft drink they consume on a daily basis. And when we start talking about it, the adult sitting across from us looks like a child who’s hand just got caught in the cookie jar. The world of coffee is serious; we have espresso, drip, instant, french press, stove top, pods, etc. etc. I won’t go into all of them and for the sake of simplicity I’m just going to talk about coffee here as a single shot of espresso as one serving as that’s what is most common here. That single shot is then mixed with the milk of your choice; dairy, almond, soy, macadamia, lactose free, again, the list here in Australia is long. Ok, so back to the question, Is Coffee good or bad? Good news: The case for coffee is stronger than ever. Study after study indicates you could be getting more from your favourite morning beverage than you thought: Coffee is chock full of substances that may help guard against conditions more common in women, including Alzheimer’s disease and heart disease. “Caffeine is the first thing that comes to mind when you think about coffee. But coffee also contains antioxidants (help protect cells from damage) and other active substances that may reduce internal inflammation and protect against disease,” says Diane Vizthum, M.S., R.D., research nutritionist for Johns Hopkins University School of Medicine. In fact, coffee is one of the biggest sources of antioxidants in the Western diet, even outranking some fruits and vegetables! I know I know, I was shocked as well. 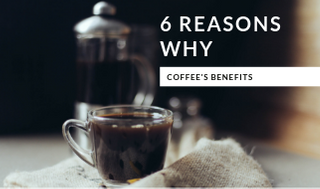 Here are 6 more benefits about drinking coffee – in moderation! Coffee doesn’t just keep you awake — it may also make you smarter. The active ingredient in coffee is caffeine, which is a stimulant and the most commonly consumed psychoactive substance in the world. Caffeine works in your brain by blocking the effects of an inhibitory neurotransmitter called adenosine. By blocking the inhibitory effects of adenosine, caffeine actually increases neuronal firing in the brain and the release of other neurotransmitters like dopamine and norepinephrine. Many controlled studies have examined the effects of caffeine on the brain, demonstrating that caffeine can temporarily improve mood, reaction time, memory, vigilance and general brain function. There’s a good reason why you will find caffeine in most commercial fat-burning supplements. Caffeine, partly due to its stimulant effect on the central nervous system, raises both metabolism and increases the oxidation of fatty acids. It can also improve athletic performance in several ways, including mobilizing fatty acids from the fat tissues. Type 2 diabetes is a lifestyle-related disease that has reached epidemic proportions. It has increased 10-fold in a few decades and now afflicts about 300 million people. This disease is characterized by high blood glucose levels due to insulin resistance or an inability to produce insulin. According to a study done in 2009 by Diabetologia, coffee has been repeatedly associated with a lower risk of type 2 diabetes. The reduction in risk ranges from 23% all the way up to 67%. A massive review article looked at 18 studies with a total of 457,922 participants. Each additional cup of coffee per day lowered the risk of type 2 diabetes by 7%. The more coffee people drank, the lower their risk. Not only can coffee make you smarter in the short term, but it may also protect your brain in old age. Parkinson’s is the second most common neurodegenerative disorder, characterized by the death of dopamine-generating neurons in the brain. Coffee may lower your risk of Parkinson’s by 32–60%. The liver is a remarkable organ that carries out hundreds of vital functions in your body. It is vulnerable to modern dietary pitfalls, such as consuming too much alcohol or fructose. Cirrhosis is the end stage of liver damage caused by diseases like alcoholism and hepatitis, where liver tissue has been largely replaced by scar tissue. Multiple studies have shown that coffee can lower your risk of cirrhosis by as much as 80%. 6. Coffee May Help you Live Longer. This isn’t surprising, since it is common for conventional wisdom to be at odds with what studies say. But coffee may actually help you live longer. In a large prospective, observational study, drinking coffee was associated with a lower risk of death by all causes. This effect is particularly profound in people with type 2 diabetes. One study showed that coffee drinkers had a 30% lower risk of death during a 20-year period. However, yes you knew there would be a but.. If you dress your coffee up too much with milk, cream (for our US friends) and sugar, you risk negating the health benefits. And of course, pay attention to how you’re feeling after consuming coffee. Get in sync with how your body’s feeling. If you feel anxious or jittery, maybe coffee just isn’t your friend. Or if you’re feeling bloated or have other digestive discomforts, again, maybe coffee just isn’t your friend. In the end, enjoy your cup of coffee, but don’t have too many in one day. Our advice is no more than two per day paying attention to what you put in it too!